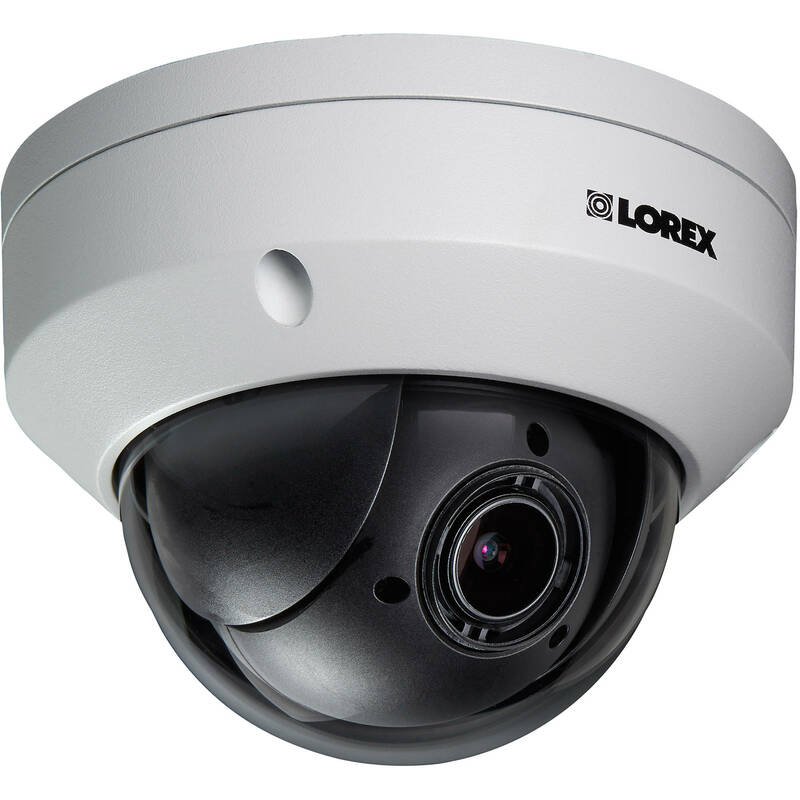 The LNZ44P4B 4MP Outdoor PTZ Network Dome Camera from Lorex uses a 1/3" progressive scan CMOS sensor to capture 2592 x 1520 resolution video at 30 fps. Color Night Vision technology provides full color nighttime video for improved visibility in low light conditions. The 2.7-11mm varifocal lens delivers a 104 to 33° horizontal field of view. The camera features a 0 to 355° pan range, a 0 to 90° tilt range, and 4x optical zoom. Integrated PoE technology simplifies connectivity by enabling the transfer of power and data through a single cable. This PTZ camera is housed in an IP66- and IK10-rated metal enclosure that is suitable for outdoor use in areas at risk of vandalism. Box Dimensions (LxWxH) 14.3 x 7.1 x 6.9"